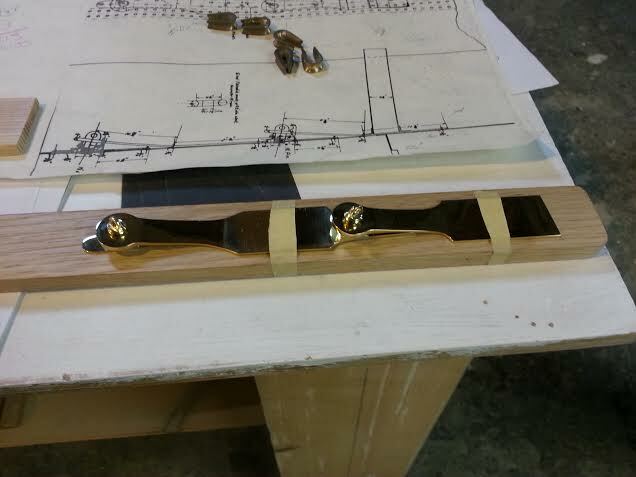 Ooops, all we’ve seen so far are the port side fittings…. There is so much creativity and hard labor into making one of these that we need to work on his motivation to do the starboard side ones…. 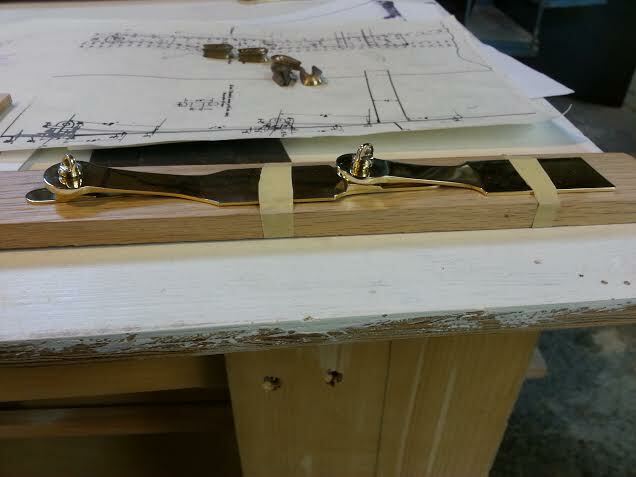 This entry was posted in Project Manager's Welcome and tagged Burr Sebring, mast, port side fittings, rivet hole pattern, shroud chain plate, starboard on April 9, 2014 by Herreshoff Marine Museum/America's Cup Hall of Fame.